Our company was established in the year 2017 . And we begin business with our main product mini trigger sprayers . 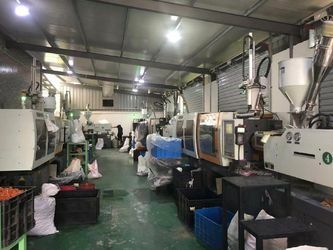 At that time , we only have three injection machines . And all the products we assembled by our hands. 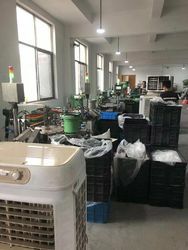 Now we have a complete set of technology and equipment, including 10 full automatic injection machines and 12 full automatic assembling equipments, we have professional inspectors to check each process during the whole production and we use the professional testing machines to ensure the quality of every product have no any problem, now the daily production can reach 100000 and even more . Now we have developed more new products about sprayers , you can contact us with the details at any time. The reason of our so fast progressing , is due to every customer's trust . Thanks to believe us and we are pleasure to provide our best service for you . Hope we can cooperate with each other and get win-win. 2. All the parts will be checked one by one before assembling and packaging . 3. We can supply logistic delivery terms as your choice :EXW, FOB, CFR, CPT, CIF, DDU, DDP. Also we can supply C/O, FORM A, FORM E, PACKING LIST, Commercial Inovice , B/L, etc. 4. All the goods will be packed in a big plastic bag, then all packed in a paper carton, which is suitable for a long-distance . 9. We can make new mould and design according to customer request or sample. We have more than 30 persons in our company . There is a good sales team to ensure we always have orders to produce . 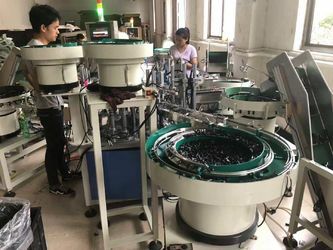 Then during the whole produce, every staffs do his or her job with their professional technology to ensure each process is on the rails .